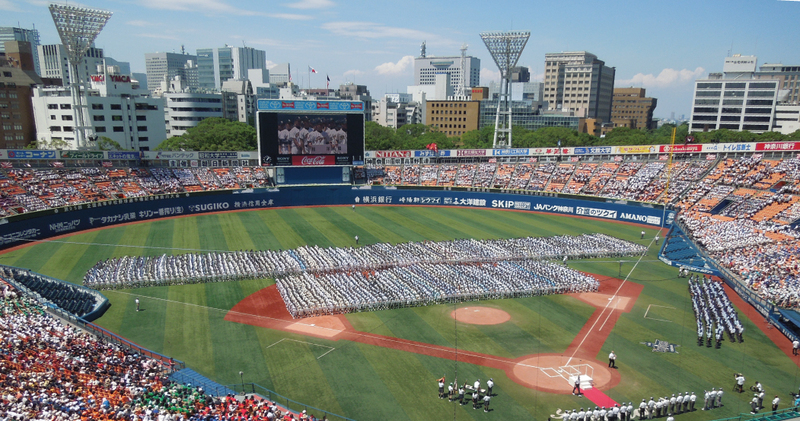 The Japan High School Baseball Federation (JHBF) announced that the number of club members registered with the Federation was 167,635 as of May 31, 2016, 1263 less than a year ago, a decrease of 2 consecutive years. Total number of the registered high schools decreased by 7 to 4,014, a decline of 11 years in a row. Out of the total 4,014 high schools in 46 regional Federation, Tokyo is the largest with 215 schools and 11,170 club members. On the other hand, the ratio of the students who continue to stay with the baseball club members since their first year improved to 90.1% from 89.7% a year ago, an increase of 13 years in a row. JHBF Secretary General Masahiko TAKENAKA attributes the improvement to the JHBF’s persistent drive to call for NO VIOLENCE at the clubs’ activities and the Federation strive to attain 95% mark, said TAKENAKA. The number of high schools and club members that play rubber baseball under JHBF decreased to 449 (-5) and 9,561 (-746).